Sydney’s most visionary and creative dancers and choreographers, aged 21 years and under, will compete at the Seventh Annual Fast+Fresh Dance hosted by FORM Dance Projects at Riverside Theatres on November 10-15. Fast+Fresh Dance will showcase short, new and innovative dance works from some of the industry’s finest young talent at Riverside Theatres, Parramatta and The Joan Sutherland Performing Arts Centre, Penrith. Each performance will go through one of three heats to enter the final, where it will then be judged by a panel of industry experts, including former finalist and renowned choreographer Marko Panzic from TV’s So You Think You Can Dance. 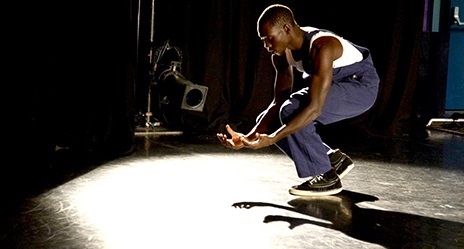 From krumping to classical, jazz to contemporary, all participants in Fast+Fresh Dance are eligible for the festival’s sponsored awards, including Best Male Dancer, Best Female Dancer, Most Outstanding Choreography, Best Solo, Duet and Group Performance and the Audience Choice Award. 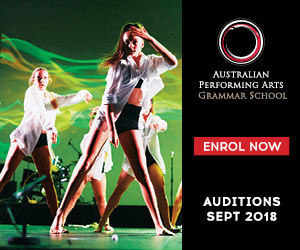 Award winners will share in a fantastic prize pool, including two secondments with the prestigious Sydney Dance Company and Bangarra Dance Theatre, free classes with Urban Dance Centre and Sydney Dance Company Studios, as well as dance gear, vouchers and magazine subscriptions all up for grabs. Fast+Fresh Dance aims to inspire and educate young performers to strive for their own artistic excellence, promote safe dance practice and encourage active youth participation in all genres of dance. The Fast+Fresh 2014 Heats are November 10-13, with the Final set for November 15. For more information, visit http://form.org.au. Photo: Fast+Fresh 2013 Best Male Dancer Abuzar Abdelrahim. Photo by Dominic O’Donnell.